Four photos of six industrial locos in the scrapyard in 1973. All survive, and I have included five photos of three of them in preservation. 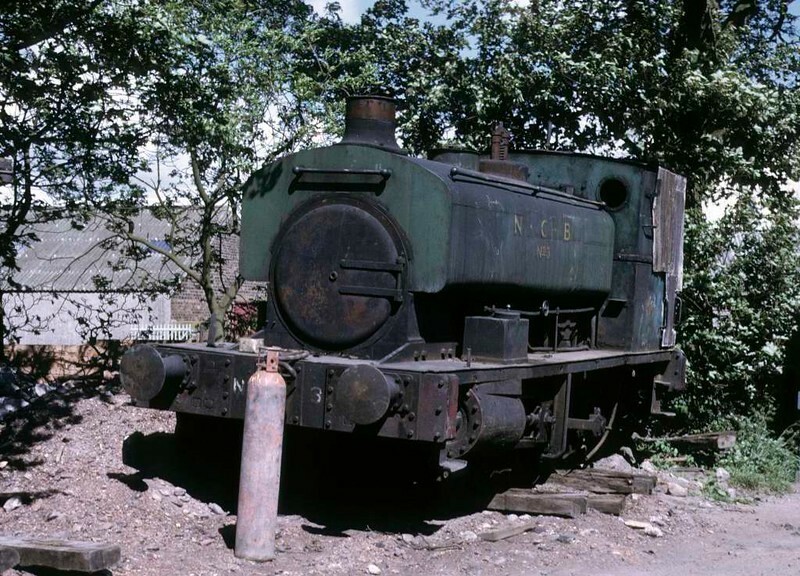 National Coal Board No 3, Thomas Muir's scrapyard, Thornton, 14 June 1973. Barclay 0-4-0ST 946 / 1902 from Frances Colliery. It was still at Muir's scrapyard in 2015. Photo by Les Tindall.